The LCD-TFT color graphics display panel (AMPIRE AM240320L8TNQW) contains a 240x320 pixel screen and connects using a 16-bit interface. 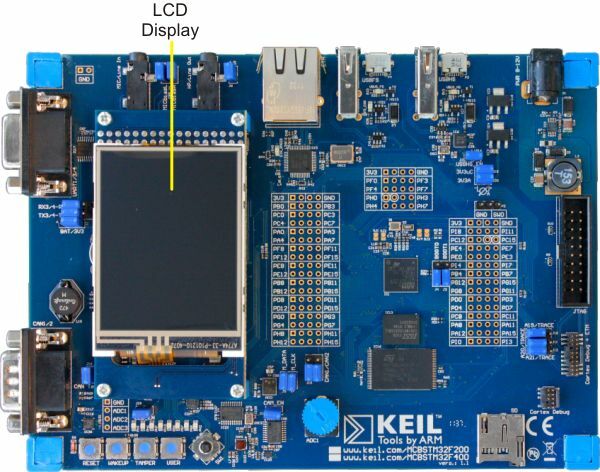 The LCD panel is mounted on the MCBSTM32F200 Display Board, and connects to MCBSTM32F200 Base Board via 34-pin header. See External Memory for chip select and addressing assignments for the LCD panel.